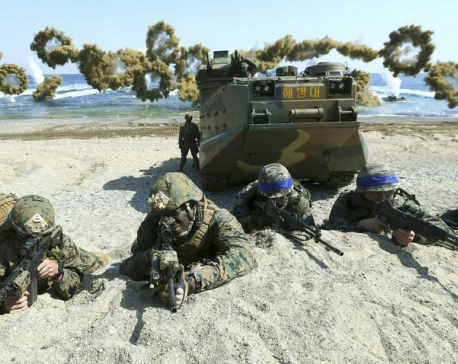 SEOUL, March 3: South Korea and the U.S. are eliminating their massive springtime military drills and replacing them with smaller exercises as part of efforts to support diplomacy aimed at resolving the North Korean nuclear crisis. KATHMANDU, Nov 1: President Bidya Devi Bhandari will return home after her four days official state visit to Qatar at the invitation of the Amir of the State of Qatar Sheikh Tamim Bin Hamad Al Thani. KATHMANDU, Oct 25: Newly appointed ambassadors of four countries have presented their letter of credence to President Bidya Devi Bhandari today. KATHMANDU, Oct 12: Nepal and Suriname have established diplomatic relations today. 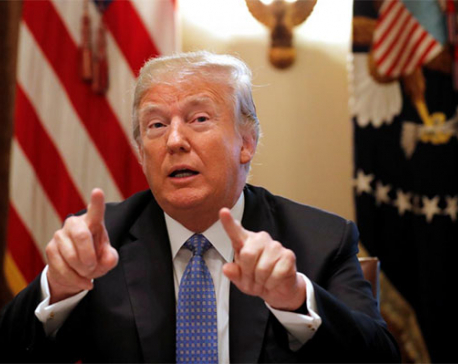 WASHINGTON, Sept 8: The United States said on Friday it had recalled its top diplomats in the Dominican Republic, El Salvador and Panama over those countries’ decisions to no longer recognize Taiwan. NEW DELHI, Sept 4: Former minister and chairperson of International Association of Parliamentarian for Peace (IAPP) Asia-Pacific, Ek Nath Dhakal highlighted Nepal's successful elections and peace process as he interacted with Indian lawmakers, including the ruling Bharatiya Janta Party (BJP), Indian National Congress and other parliamentarians. 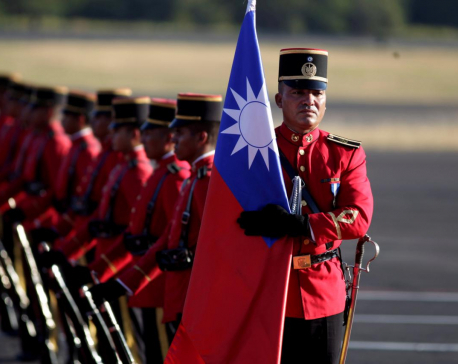 TAIWAN, Aug 21: Taiwan lost another ally to Beijing on Tuesday when diplomatic ties with El Salvador were severed, as China presses the remaining nations with diplomatic links to Taipei to end them. 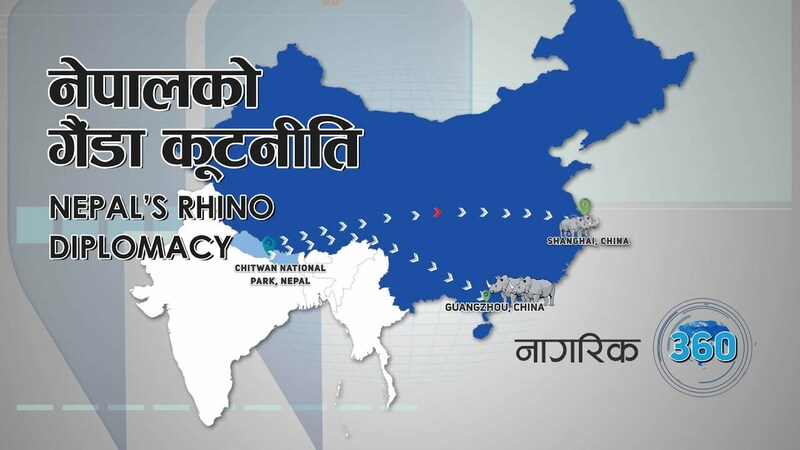 KATHMANDU, Aug 20: Nepal has handed over the second and final pair of the endangered one-horn rhino named Soltini and Mitini to China on August 17 and has been flown to Shanghai on a cargo plane. KATHMANDU, Aug 18: As the last rites of former Indian Prime Minister and veteran Bharatiya Janata Party (BJP) leader Atal Bihari Vajpayee were performed in New Delhi on Friday, many in Kathmandu have expressed deep condolences on his passing away, recalling him as a true friend of Nepal. 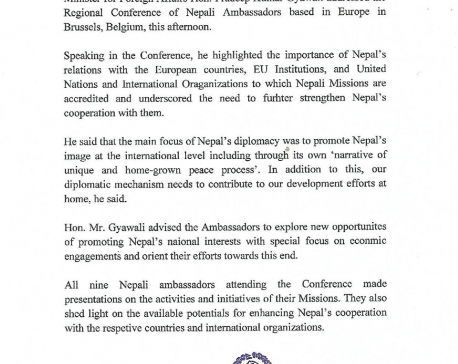 KATHMANDU, July 29: Minister for Foreign Affairs, Pradeep Kumar Gyawali stressed on the importance of Nepal’s relations with European Union Nations, United Nations, and international organizations in the Regional Conference of Nepali Ambassadors based in Europe in Brussels, Belgium. 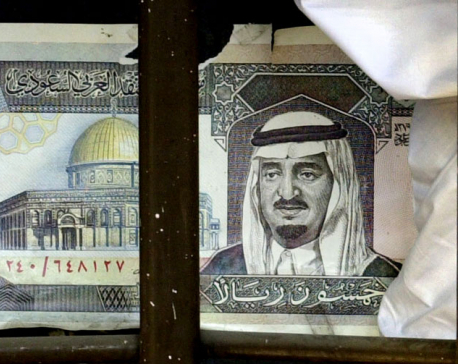 MINNESOTA, July 5: A United Arab Emirates-backed Saudi effort to wrest control from Jordan of Islam’s holy places in Jerusalem signals a sharper, more overt edge to Saudi religious diplomacy and the kingdom’s quest for regional hegemony that risks deepening divides in the Muslim world. 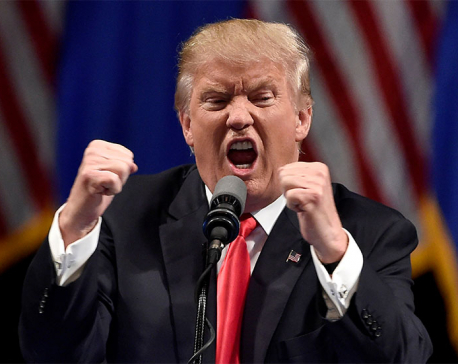 WASHINGTON, June 7: He hectored Mexico’s leader over border wall funding. Lobbed statistics at the Canadian leader without checking his facts. 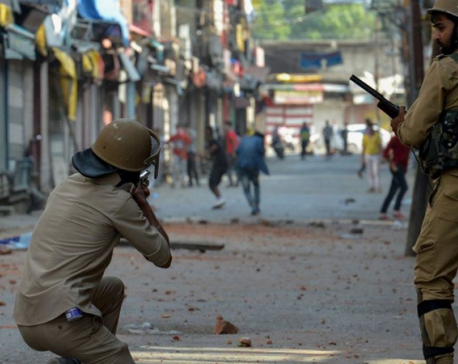 Cajoled the British prime minister to crack down on protesters. Had a tête-à-tête with Russia’s head of state on a whim. 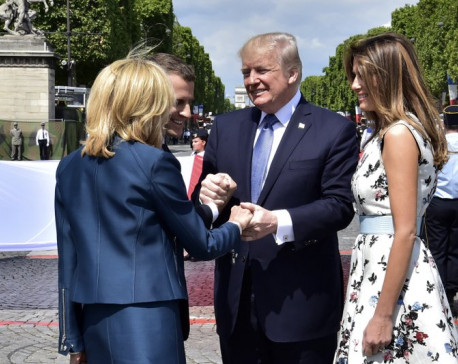 Bonded with France’s prime minister over military parades. 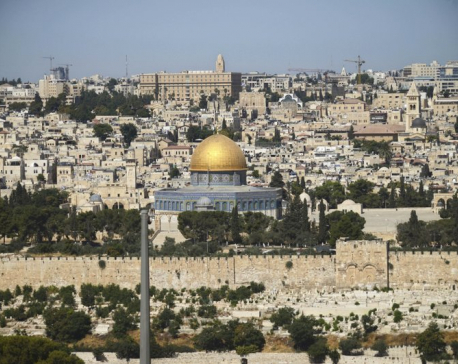 KATHMANDU, Dec 22: Many countries including Nepal are in a fix as US President Donald Trump is exercising “coercive diplomacy” against countries not supporting his controversial move to recognize Jerusalem as the capital of Israel. 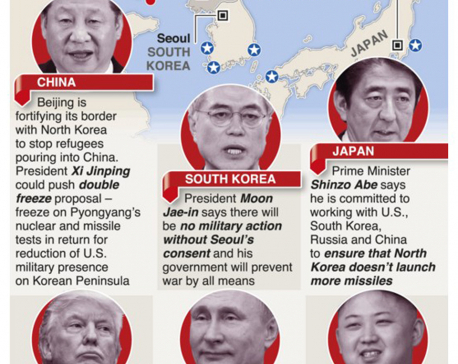 International relations become really interesting and easy if we think of countries as humans and deal with the problems and issues accordingly. One simple and cost-effective way to promote our soft power is to establish a competitive Nepal Scholarship Fund under the joint jurisdiction of our foreign and education ministries. 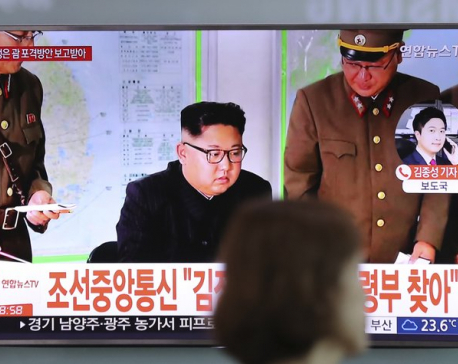 SEOUL, August 15: Even as North Korea presented leader Kim Jong Un with plans to launch missiles into waters near Guam and “wring the windpipes of the Yankees,” both Koreas and the United States signaled their willingness to avert a deepening crisis Tuesday, with each suggesting a path toward negotiations. KATHMANDU, July 25: Deputy Prime Minister and Minister for Foreign Affairs Krishna Bahadur Mahara has pledged to make the economic diplomacy more effective through the 'bilateral consultation mechanism' based in those countries (not all) that Nepal has established the diplomatic relations. 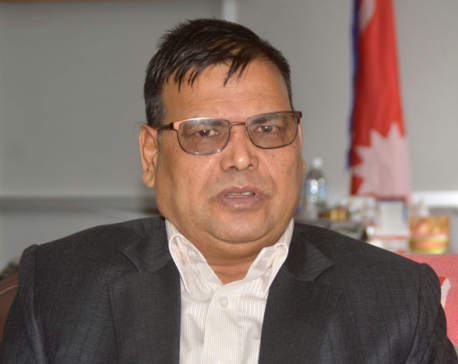 KATHMANDU, July 11: Deputy Prime Minister and Minister for Foreign Affairs Krishna Bahadur Mahara has said that the government would take forward economic diplomacy with high priority. 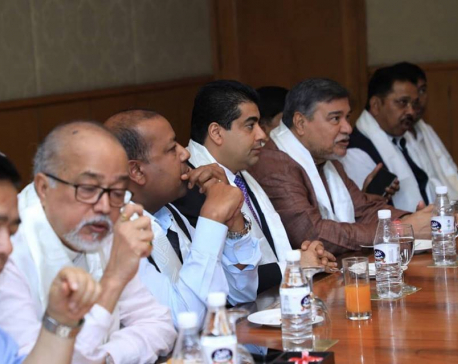 KATHMANDU, Oct 16: Lawmakers representing various political parties, speaking during special hour of the parliament meeting on Sunday, drew the government's attention toward contemporary issues. 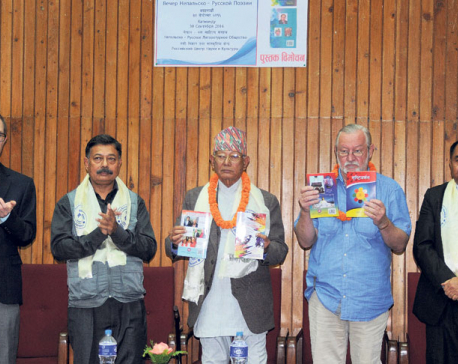 KATHMANDU, Sept 30: Russian Culture Center in Kamalpokhari hosted a literary program on Friday to conclude the 60th anniversary celebration of Nepal-Russia diplomatic relation.